Decor and or accessories are the products in a room that catch your attention. These products can be accent chairs, coffee table sets, ottomans, stools, benches, and more.There’s a reason we choose to add these extra products to our design and in a designers point of view, it is usually for decor. 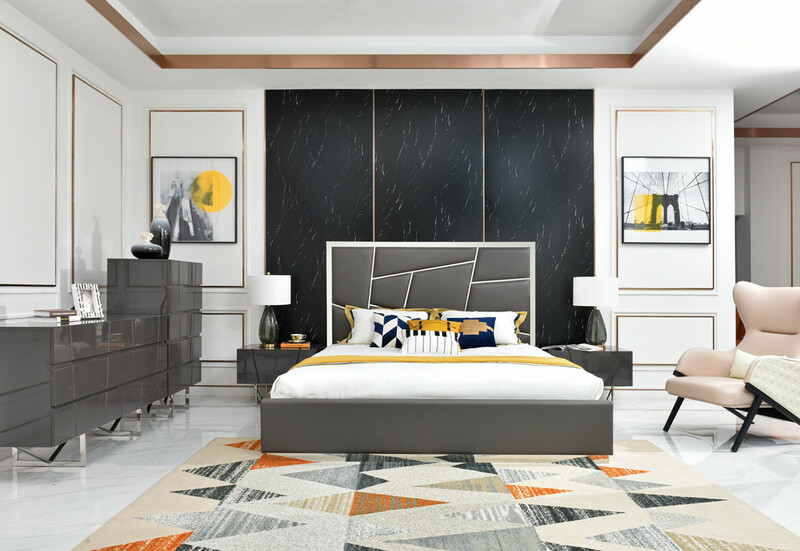 Modern bedroom furniture designs are changing and updating every day, the shapes and overall design is what convinces us to try something new. There’s beds such as the Chrysler that has more of an abstract look to its headboard. It is upholstered in grey bonded leather with polished stainless steel accents on the headboard and the base. It is available in Queen and Eastern King, slats are included and no box spring is required. With the bed having a unique and crafty look, it can be combined with fun colors to make it stand out. Summer at last, hello Summer! We’ve been waiting for you. 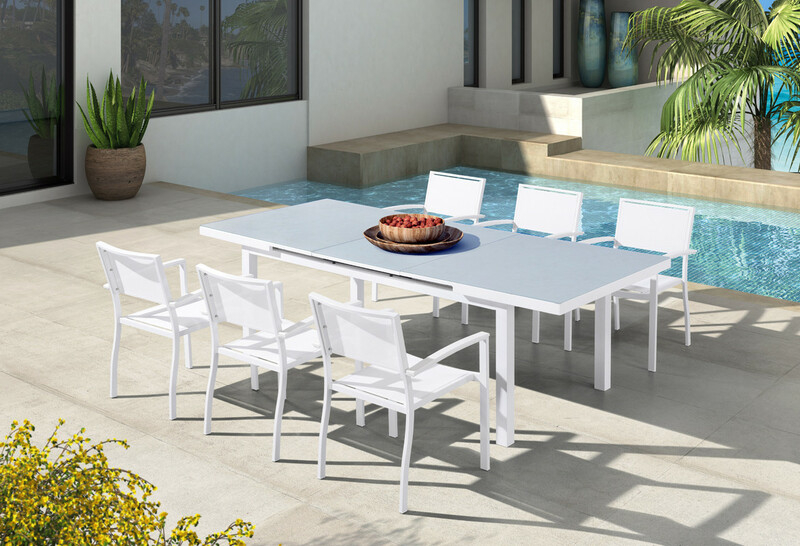 There’s so many great patio furniture pieces that have arrived just in time for all the summer fun.